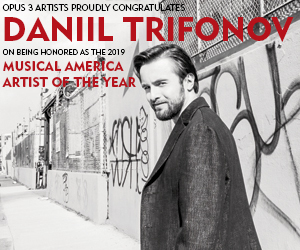 Among the dozens of YouTube offerings showcasing Daniil Trifonov—Musical America’s Artist of the Year—there is a stunning performance of Mozart’s Piano Concerto No. 23 in A, K. 488, filmed at the finals of the Arthur Rubinstein Competition in Tel Aviv in 2011. In Trifonov’s hands, every note seems filled with meaning. The music’s character becomes by turns charming, assertive, playful, and confessional. The slow movement ends with a series of fragile, sustained tones, as if, choked with emotion, the narrator simply could not continue. Mozart wrote those halting phrases, but it is Trifonov who transforms them into metaphorical sighs. Daniil Trifonov went on to win the Rubinstein Competition’s top prize (and the audience award as well). Later that same year he took both first place and a special Grand Prix award—given to the best performer among all the entrants in any instrumental category—at the Tchaikovsky Competition in Moscow (he also was the audience choice once again). Those victories proved life-changing. "You knew how special he was from the first minute"
His special qualities are indeed a challenge to put into words. “He has a way of bending time,” notes Gilbert. “You could call it expressive rubato, but that sounds so pedestrian. It’s as if time flows in a different way for him. But that’s a dangerous way to describe it, because his rhythm is crystal clear and logical, yet never inevitable. I always feel challenged when I work with him, like I have to ‘up’ my game—it means a lot when he says he is happy with the result. 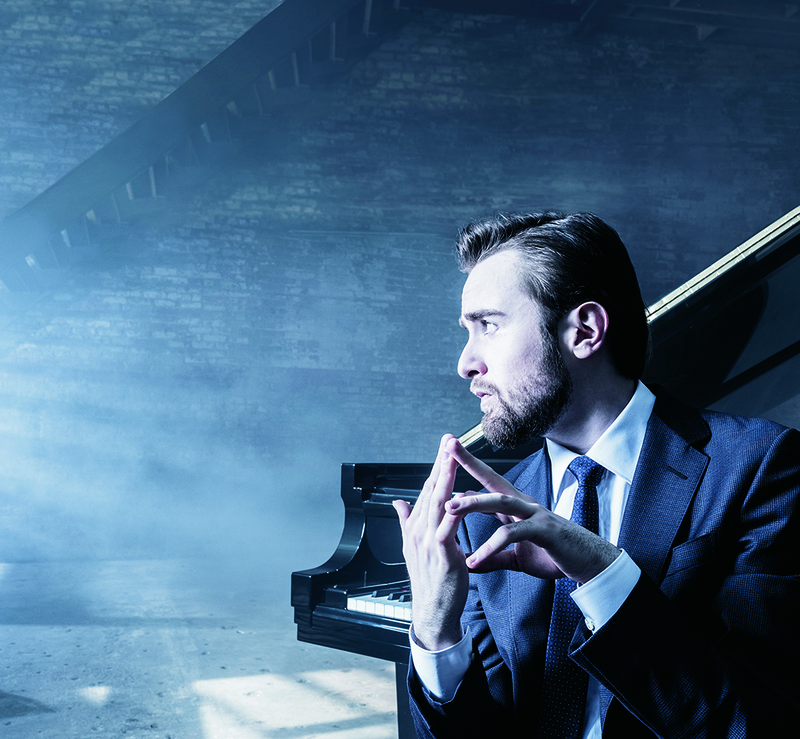 There are some soloists you have to follow, speeding up or slowing down to keep in sync, which creates a feeling of self-consciousness, but that doesn’t arise with Daniil.” In other words, Trifonov makes the collaboration feel utterly natural. Tatiana Zelikman was prescient. In the end, Babayan’s aesthetic outlook—stressing both communicativeness and taste—perfectly suited the young Russian’s. “I want the piano to speak like the human voice,” explains the teacher. Beyond mere mechanical execution, this requires insight into the particular qualities that distinguish a composer’s vernacular: “Horowitz said you should play Mozart with the sensitivity of Chopin, and Chopin with the simplicity of Mozart. In other words, Chopin should be pure and classical, Mozart more sensual and romantic.” Trifonov’s prize-winning accounts of Chopin and Mozart were shaped by such ideas, along with a tireless search for the technical means to achieve them. Trifonov lives and breathes music. During our interview he would at times respond to a question by silently moving his fingers, internally scrutinizing the experience of creating a specific sound. Finding the right means of tonal production is an ongoing process for him. His teachers in Russia and America shared similar goals, he says, but differed in their views of such aspects of performance as the way the hand behaves, and exactly how the fingers should strike the keys. Repertoire plays a large role in those decisions. At the Gnessin School he played mostly Chopin, then Scriabin and Schumann, while undergoing a rigorous program in various aspects of musicianship. “In the last year,” he admits, “we had to take difficult dictation, listening to and writing down six-voice harmonies based on Scriabin’s Prometheus score. That was quite a challenge. . . . When I moved to Cleveland I focused more on Rachmaninoff’s music, which requires flexible shoulders and the engagement of the entire upper half of the body. But creating the right sound means hearing it in the mind first, after which you try a lot of physical experimentation. For example, I practiced the opening of the Rachmaninoff Second Piano Concerto in a swimming pool. This may seem not very practical, but actually it was. This physical sensibility must serve a musical end, of course—harnessed to bring out a work’s emotive resonance. “I often close my eyes when I practice,” Trifonov explains, “and then try to elicit different feelings from a particular phrase.” He takes his cue from the work of Russian theatrical director Konstantin Stanislavski, whose acting “method” focused on “experiencing” a given role rather than merely “representing” it. The pianist’s spirit of discovery is reflected in the adventurousness of his programs. Take his Carnegie Hall seven-concert “Perspectives” series, which included solo performances along with collaborations featuring Gidon Kremer’s Kremerata Baltica chamber orchestra and cellist Gautier Capuçon; baritone Matthias Goerne; Sergei Babayan; and Valery Gergiev leading the Mariinsky Orchestra. The music included both Chopin and seminal pieces from each decade of the 20th century, with works by Berg, Prokofiev, Bartók, Copland, Messiaen, Ligeti, Stockhausen, Adams, Corigliano, and Adès, along with original music by the pianist himself. (He recently toured his own Piano Concerto with the Mariinsky Orchestra.) His fourth recording for Deutsche Grammophon, Chopin: Evocations, includes both of Chopin’s piano concertos in new arrangements by Mikhail Pletnev, rather than Chopin’s original orchestrations, as well as music by Barber and Mompou, composers heavily influenced by the Polish master. (Of Mompou, he says, “I love his use of silence.”) On ECM, he has recorded music for violin and piano of Mieczyslaw Weinberg with Kremer. He plans to offer more contemporary works in the future. Other offerings on the DG label include Transcendental, containing exquisite renderings of etudes by Liszt; Preghiera, an all-Rachmaninoff recital with Kremer and cellist Giedrè Dirvanauskaitè (“Preghiera” is actually Fritz Kreisler's arrangement for violin and piano of the slow movement of the Rachmaninoff Second Piano Concerto); and Rachmaninoff Variations, featuring Trifonov’s own virtuoso composition, Rachmaniana, along with tour-de-force accounts of Rachmaninoff’s Variations on a Theme of Chopin and his Variations on a Theme of Corelli for solo piano, and the Rhapsody on a Theme of Paganini for piano and orchestra, performed with Yannick Nézet- Séguin and the Philadelphia Orchestra. Teaching is not on his agenda: “I did a couple of master classes,” he relates, “and found them emotionally draining. It’s difficult to convey everything in a single lesson, and you can’t predict where it will go for the students when there is no follow up.” Composing is a sideline, he says, something he does only when time allows. And time has become an issue. Stuart Isacoff’s latest book is When the World Stopped to Listen: Van Cliburn’s Cold War Triumph and Its Aftermath (Knopf).